Gaming has become one of the bigger industries in the world, expanding its industry to audiences all across the world, but for organizations like Ablegamers, their focus is to expand the ability to game to disabled people. Ablegamers was founded in 2004 by Mark Barlet, when his best friend, Stephanie Walker was diagnosed with Multiple Sclerosis, which took most of her ability to play Video Games. Bartlet’s vision of Ablegamers was “to ensure that no one with a disability would ever be without answers on how to conquer disabilities and continue enjoying one of the world’s largest past times.” From 2005 to now, he has worked with major companies across the world, such as Microsoft, Yahoo, and many more organizations alike. Meet Mike “BrolyLegs” Begum, a professional Street Fighter player who has arthrogryposis which is a disability that limits muscle growth. BrolyLegs is one of the best Street Fighter Players in the world, having an International Street Fighter presence. He has won many World Championships as Chun-Li, one of the Characters from Street Fighter, only using his right hand and his face. How does he do it? According to an Interview by Gameinformer, he said that has been playing since “I was 2 years old” when his parents bought him NES. The reason why his parents bought him the console was to see if Mike could overcome his disability. For most of his childhood, he struggled to find a way to a way to access the controller. “I f finally put my wrist down on the d-pad and as long as I was in the center of the d-pad, I could press all four buttons there.” he said. Begum then needed to stop the controller from moving so he used his chin to hold down the controller and be able to use the other 2 buttons on the controller. “As long as the the TV was no taller than 4 feet high, I could game.” he said. Brolylegs then started to go other fighting games like MOrtal Kombat, and Super Smash Bros, and recently became partnered with Twitch and Ablegamers, which made easier to help him play video games. The information that is shown came from their Article “Gaming For All” which showed the benefits of Ablegamers and how it helps disabled people play video games, like Begum, and many more people alike, and the article was so amazing that I had to respond to them. My Uncle has Cerebral Palsy, which is a disease that is caused by abnormal brain development which causes limbs to be unstable making it extremely difficult to use the legs, hands, and arms. My Uncle grew up in the 70’s to games like Pacman and Pong. He tried playing them, but I was very difficult to play on a keyboard. Later when consoles like the Atari and NES, he tried playing them. It was easier to play with a controller than it was using a keyboard in mouse, but it was still difficult. Then came the Xbox and Nintendo 64, then he started to get good at games. 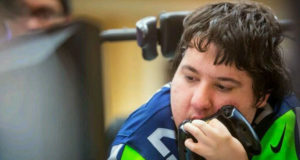 Now, with Ablegamers, he is able to play video games like Halo, Borderlands, and Battlefield easier than ever. Ablegamers makes custom gaming rigs for disabled people so its easier for them to play video games, and with Ablegamers, my Uncle is able to video games, and holy hell is he good at them. He destroys me almost everytime challenge him to a Halo 1v1. 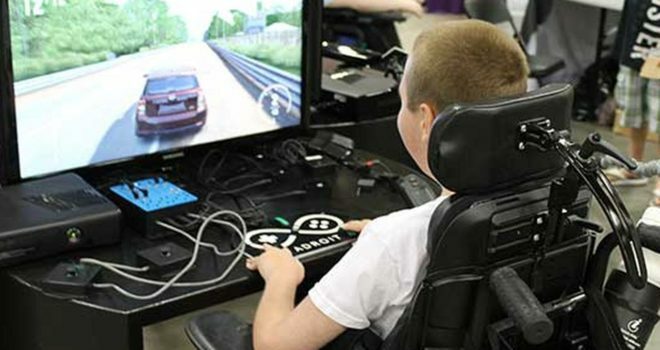 Until we find a cure for these types of disabilities, Ablegamers will always be there for the gamers who are disabled which is how it should be.